With questions swirling about whether Pacific Gas & Electric Co. equipment could have sparked the Camp Fire — the state's deadliest and most destructive blaze on record — California's top utility regulator says he will expand an existing probe into PG&E's overall structure. 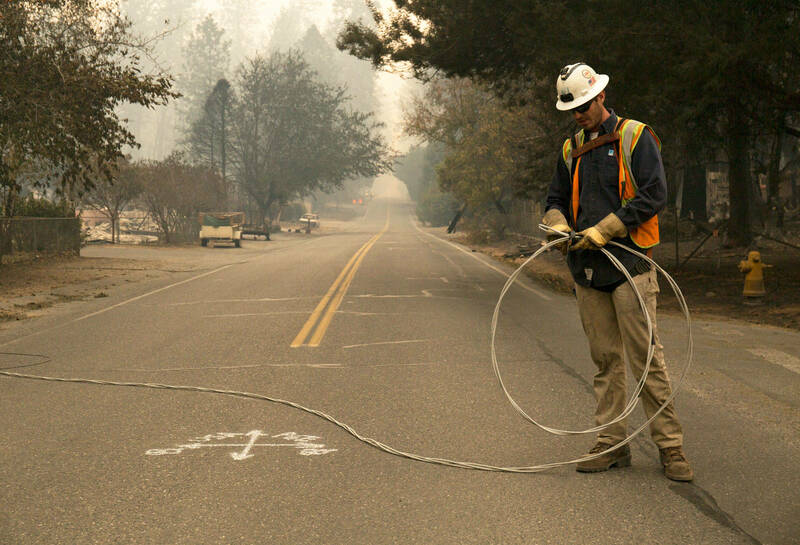 California Public Utilities Commission President Michael Picker says the CPUC will examine "the corporate governance, structure, and operation of PG&E, including in light of the recent wildfires, to determine the best path forward for Northern Californians to receive safe electrical and gas service in the future." It's the strongest indication to date that Picker and other regulators may be open to reconsidering the very existence of the publicly traded utility giant. But it came right after Picker made comments about protecting PG&E from bankruptcy -- causing PG&E shares to soar in extended trading after two days of plummeting stock prices for the utility. Earlier this week, State Sen. Jerry Hill, D-San Mateo, said he is looking into legislation that could break up the utility or make it public. Hill has been a harsh critic of PG&E since one of the utility's gas transmission lines exploded in 2010, leveling a neighborhood in his district and killing eight people. In an interview with KQED late Thursday, Hill said he applauds Picker for opening up a conversation about PG&E's structure. "I think it's time that we have this conversation and the CPUC is the perfect place to have it," he said. "As I said earlier in the week, I wanted to see the conversation started and I think we need a full discussion of the business model of PG&E. I have no confidence that will happen in the Legislature, which is why I would applaud it happening at the CPUC." In the past, Gov. Jerry Brown and officials at the CPUC, the regulatory body charged with overseeing utilities, have been criticized for what some see as a cozy relationship with the utility. And even before the Camp Fire, PG&E — which is blamed for at least 16 of the blazes that broke out in California last year — has been actively pushing for a change to state liability law to protect itself from billions of dollars in wildfire damages in recent years. Brown supported making it harder to sue PG&E, stopping short of an all-out repeal of the liability law. Ultimately, lawmakers passed a more modest bill that doesn't change liability law but will let utilities pass off some costs to ratepayers for fires that started in 2017 or after 2018 — but not this year. That bill capped months of debate over PG&E's future and whether the company could go bankrupt, a conversation that's sure to begin anew in 2019. PG&E's stock price plummeted earlier this week amid questions about whether it could have started the Camp Fire, even though it could be months or longer until state investigators officially determine the cause. Some residents in Butte County, large swaths of which have been devastated by the Camp Fire, aren't waiting for that investigation. Earlier this week, they filed suit against the utility, blaming it for the blaze. In a statement, PG&E said it is focused on helping those affected by the fire to recover, and will cooperate with any investigation. "Our hearts continue to be with the communities impacted by the Camp Fire. The loss of life and property is staggering. Right now, our primary focus is on supporting the communities and assisting first responders as they work to contain the fire. We are also getting our crews positioned and ready to respond when we get access, so that we can safely restore gas and electricity to our customers," the utility statement read. But, PG&E also noted that it's premature to assume what caused the fire. The company also continued to beat the drum about the importance of its financial health -- and referred to the legislation signed by Gov. Brown in September. 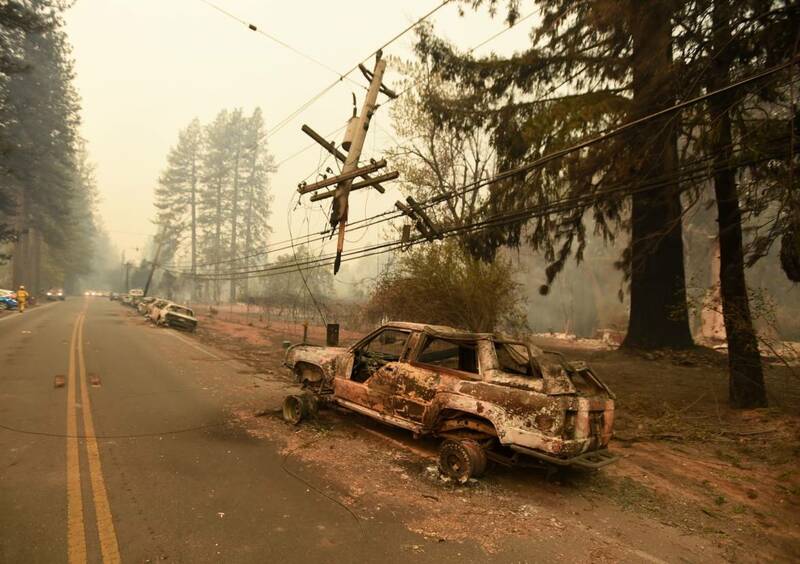 "We agree with CPUC President Picker’s statement that an essential component of providing safe electrical service is long-term financial stability," PG&E stated. "Access to affordable capital is critical to carrying out safety measures and meeting California’s bold clean energy goals. Recently passed legislation recognized the importance of financially healthy utilities to California electric customers and implementing it quickly is important to achieve that goal." In his statement, Picker also noted that under that wildfire bill, California utilities must file wildfire mitigation plans with the CPUC. Picker said those plans "will be adopted before the wildfire season starts next year," though state fire officials have been warning that California no longer has a fire season, but a year-round threat.